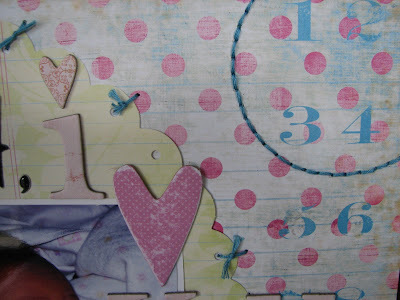 A Walk Down Memory Lane is having a blog hop to show a little sneak peak of our October projects. If you just stopped by and want to start the hop at the beginning you can visit the AWDML DT blog. Here is part of my project for October. The full reveal will be tomorrow October 1st! Can you guess what I made? I will give you a hint, it is a fun fall decoration. The next blog to hop to is Mindy! Have fun! 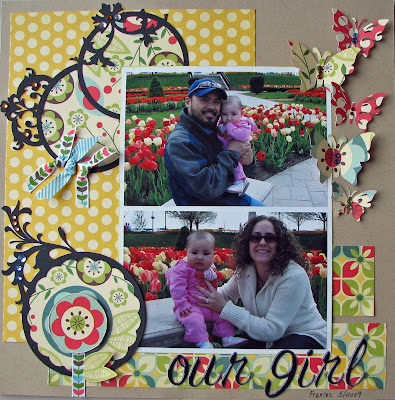 We are having a crop this weekend at A Walk Down Memory Lane for World Cardmaking Day. Here are all the details. I hope you will stop by and join us. 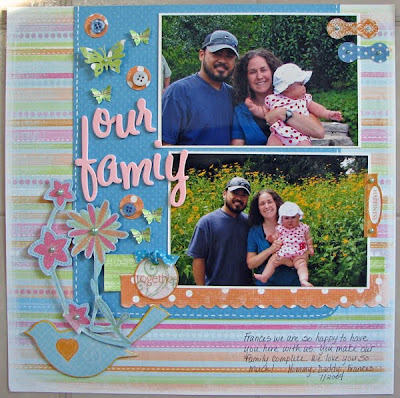 World Card Making Day is a holiday especially for card makers around the world to celebrate the creativity of handmade cards and the personal connection that they create between friends and family. Join Us at AWDML on October 3rd to get you started for the holidays. *Challenges may not be combined. *Each challenge will count one entry toward prize drawings. *All work must be NEW and Created for these challenges. *Your work may be shared on other websites and blogs. A minimum of four challenges must be completed and uploaded into the gallery, linked to your master thread and the thread for the individual challenges by to be eligible for the prizes. RAK Prizes are provided by AWDML! Spread the word and lets have fun! I just looked at the blog and it has been over 10 days since I posted last! Oppps. Where does the time go? 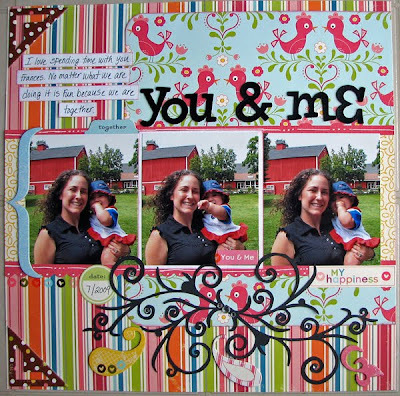 Even though I haven't been posting I have been scrapbooking so I have lots of layouts to share. I used some Rusty Pickle Paper I found in my stash. It went perfectly with these photos of us at the farm. And I did a two page layout! I haven't done one of those in a while! More fun at the farm. Frances posing in the cow cutout. Frances at 6 months. What a cutie! I used SEI Playday paper on this one. Frances at 7 months. She just gets cuter! I used SEI Playday on this one too. I used Little Yellow Bicycle on this layout. It is still 15% off all September at A Walk Down Memory Lane. I used the new Christmas Diecut fram on this one. Perfect for this picture of Frances and me on the day she was born- Christmas day! I love the new October Afternoon Cherry Hill Papers! 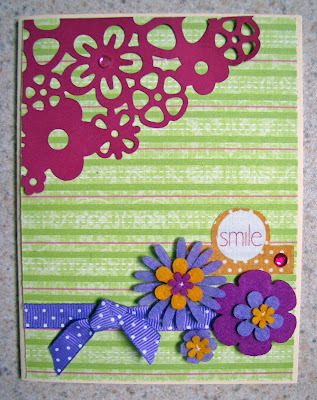 I used the flourish die cut on this one. I was missing summer when I made this one! 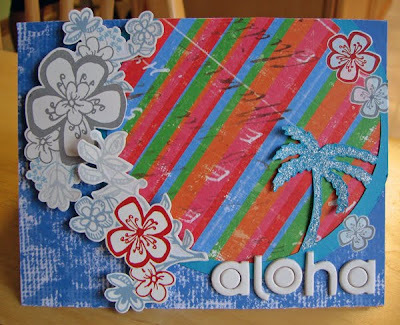 I love the cute little palm tree die cut Lori designed. 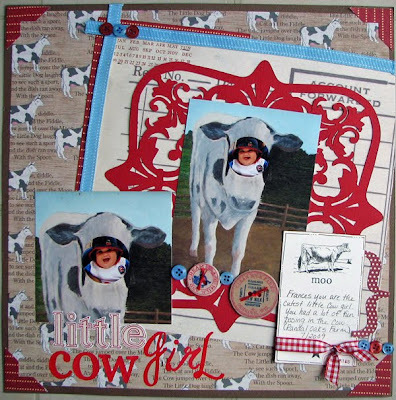 And lastly- I created this layout for a title prompt challenge at Simply Obsessed. 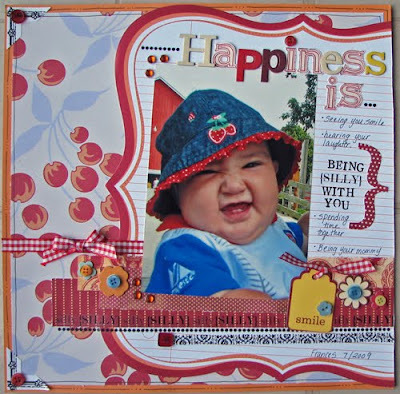 The challenge is to create a layout with the title "Happiness is..." or some variation of that. I created this LO because I have been feeling sad about going to work. Looking at this face always cheers me up though! 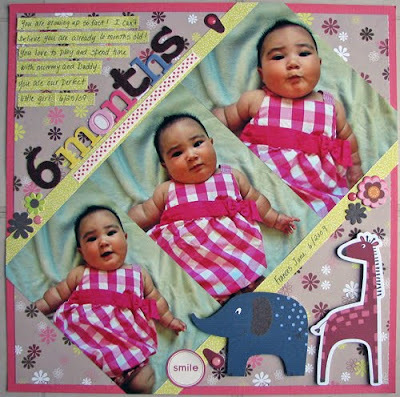 I used the June Jenni Bowlin/ Graphic 45 kit to make this LO. It is still available in the Simply Obsessed store, but not for long. Labor Day is over so I guess we have to officialy say good bye to summer. I am sad to see it go, but fall is my favorite season so I am really excited about all the activities to come. I am planning a trip to the apple orchard and just bought Frances a cute little bee costume for halloween. Here is a last bit of summer. 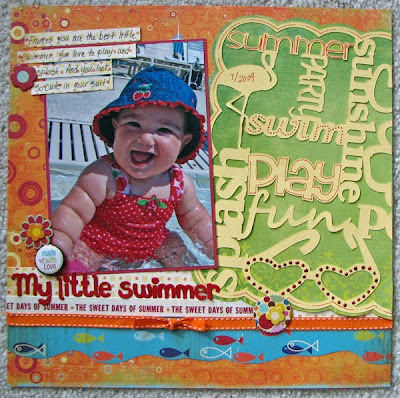 I used my summer die cut from The Scrappy Shack and papers from my Scrapbook Circle June kit. Just think next summer little Frances won't be so little anymore. Oh- and don't forget about the Scrappy Shack birthday giveaway. 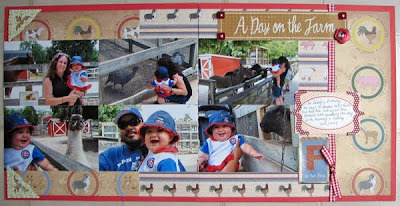 Take a trip over to the blog and leave a comment to be entered to win 20 diecuts of your choice. Yes 20! Trust me, you'll love them! Look who's talking (and my SO kit reveal)! Hello and Happy Labor Day for those of you that are celebrating today! -Crawling: Very slowly, but she get's where she wants to go. I was actually at school when she started :(. I got home and grandma said guess what, Frances crawled today. It broke my heart that I missed it. -Talking: She says Daddy, Hi, Yeah, Mommy and Ginger (our dog's name). It was so cute when the dog jumped up on the couch she looked at her and said Ginger. It was so clear. -Eating: She loves food! String Cheese is her favorite and little pasta. She also loves to grab the doggies' tails. They don't love it so much. 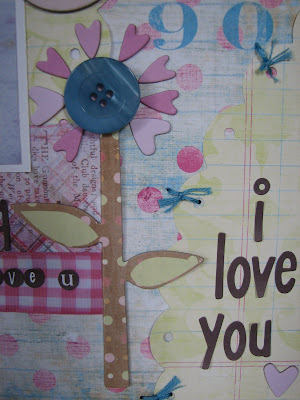 Well onto my Simply Obsessed reveal- I just loved the SO kit this month. I always think this is the best kit, but then love the next kit even more. Heather just does such a great job of putting them together. 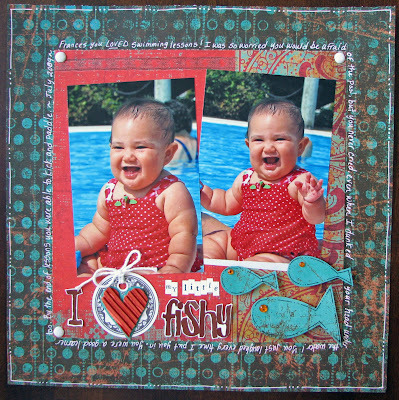 I created these two LO's and card and still have tons more product left over. I have been playing with photoshop lately and fixed up this photo in it. I converted the photo from color to black and white (because the colors were really bright) and blurred out the background. I also added the grunge frame (downloaded from the Jessica Sprague website) around the photo to look like I painted the edges of the photo. Then I added some Bo Bunny rubons around the page. I love those rubons! I usually don't like rubons because I can never apply them right. I always get a partial image. These rubbed off so easily though and no messed up rubons! Everything on this layout is from the kit except the little MM letter stickers. I cut my heart from the fabric swatch included in the kit. Then I doodled and journaled with a white pen. 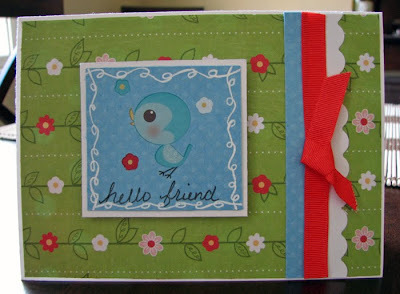 I used the scraps from LO's to create this card. 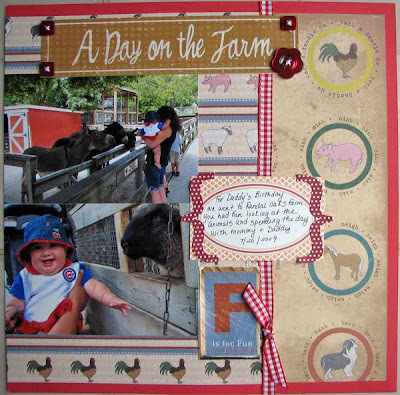 I added some ribbon and white chipboard stickers from my stash. If you haven't checked out The Scrappy Shack Etsy shop now is the time. Lori is having a huge giveaway! 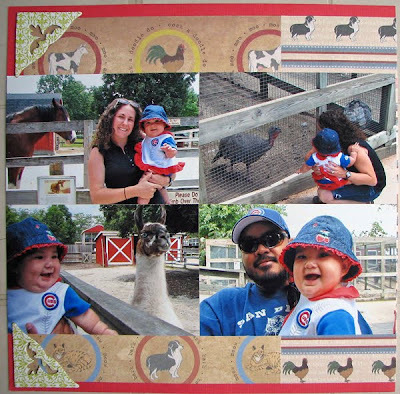 You will love the one of a kind diecuts she creates. 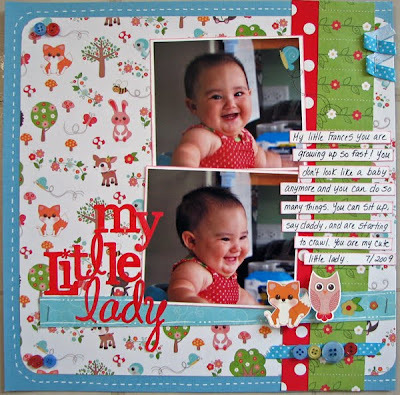 I created these two pages with diecuts from her store. 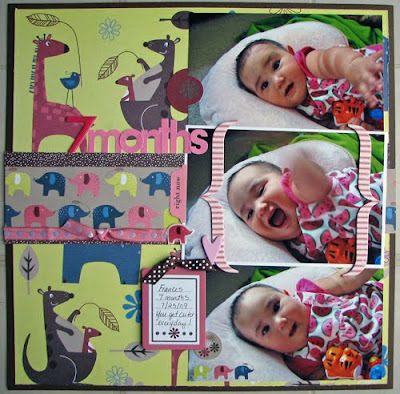 I used the cirlce alphabet frame and the circle flourish frames. 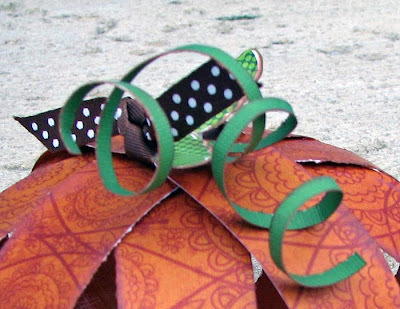 The winner will be allowed to chose 20 die cuts from the Scrappy Shack Etsy shop. Twenty die cuts, in any color the winner chooses. 1. Visit the Etsy shop, pick your favorite die cut, and leave a message on the Scrappy Shack blog telling Lori which one you like. 2. Announce the promotion on your blog, and then leave a comment on the Scrappy Shack blog with the link. 3. Visit any DT member's blog (that's me!) and comment on the giveaway. Lori will choose a winner on September 30, by random draw. Good luck and happy September! Wow, September already! I cannot believe it! I will miss summer, but I love fall. I am looking forward to so many things. I saw the cutest little bee costume for Frances. Halloween is going to be so fun this year with her. I am already making the layouts in my head! I think she is finally adjusting to daycare although I am not adjusting to being away from her. She started making this funny suprised face that I am trying to get on camera. She does it when I walk into the daycare. It is so so cute. A Walk Dowm Memory Lane: The featured manufacturer this month is Little Yellow Bicycle. Love their stuff! And best of all it is all at least 15% off in the store during September. Scrap That: I stil need to finish a few more LO's for my reveal. My first uses some super cute Basic Grey Lemonade paper. I think this will be the last time I scrap these photos too. When I love a photo I just can't stop scrapping it! 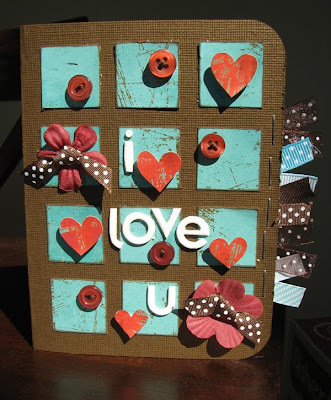 Butterfly Crafts: The challenge this month was to create a LO about a favorite song. I chose 1234 by the The Plain White T's. I used to sing that to Frances when she was first born. Come over to the blog and join in on the fun. All LO's entered will put into a random drawing to become October's guest designer.